Today’s podcast is part 3 from my Services That Sell premium course that has taught countless individuals how to hit a four-figure monthly income. If you haven’t checked out part 1 and part 2, then I highly recommend going over them before continuing. Because today I’m going to introduce you to something that will give you a laser-like focus and have you charging forward as you build momentum. The POP method is just the thing to discover the marketing and sales strategy that produces the largest ROI. The POP method was designed to declutter everything in your environment so you can focus on what’s going to get you results. Things like building a personal brand may be important, but what I’m recommending is so much more powerful. Here, you’re becoming known for solving a specific problem using your methodology. You’re building a personal service brand. 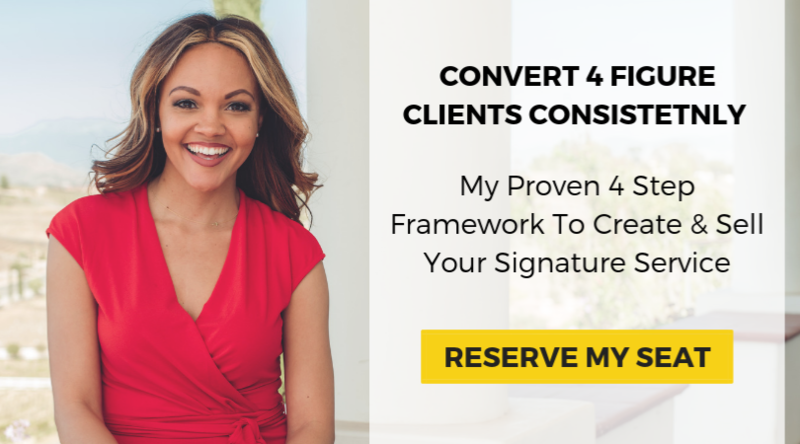 Sales That Sell is a masterclass training where I break down exactly what you need to do in order to roll in high ticket clients consistently. The POP method is only part the proven methodology that we share with all our students. If you’re ready to start serving your clients while selling your services consistently then listen to the podcast on iTunes today. I also strongly urge you to subscribe so you don’t miss any of this free content that could help turn your business (and life) around. – Pick one problem – Your client has 99 problems, but you can only solve one. Therefore, select one (and only one) problem that you can help them out with. – Pick one person – Traditional marketing tells you to define your target market. This is WAY too broad. Instead, think of one specific person that you know, who you can help. Now, every time you’re figuring out how to communicate the benefits of your service, you can picture this one person. – Package one process – The best way to think of packaging your process is like writing a recipe. It’s about getting what’s into your head onto paper. So that another individual can follow your process and achieve the same desired result. – Pick a platform – Before you jump into building your social media presence, ask yourself two questions: Where is my ideal client hanging out? And where is my ideal client taking action? In case you haven’t noticed, I like Facebook. It’s where I get results. Yes, we’ve moved into other platforms, but Facebook is my bread and butter… And don’t get me started on Facebook Live videos. – Pick a profit conversion method – If you can’t actually sell your offer then it’s irrelevant how great your service is. Having a structured sales script (that gets clients saying YES) and setting up sales calls is ideal for selling high ticket offers.